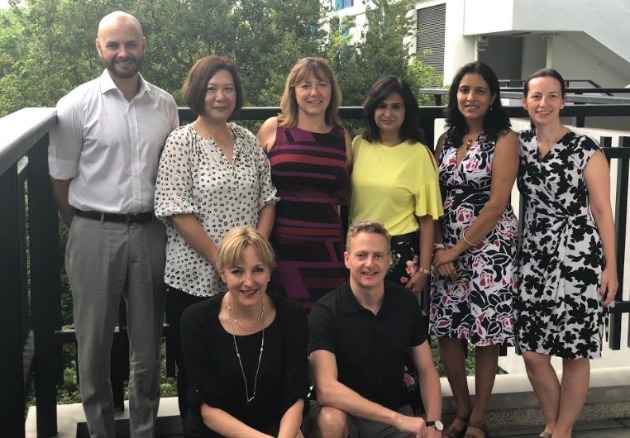 Welcome to the 13th edition of our Year 6 Curriculum Update! 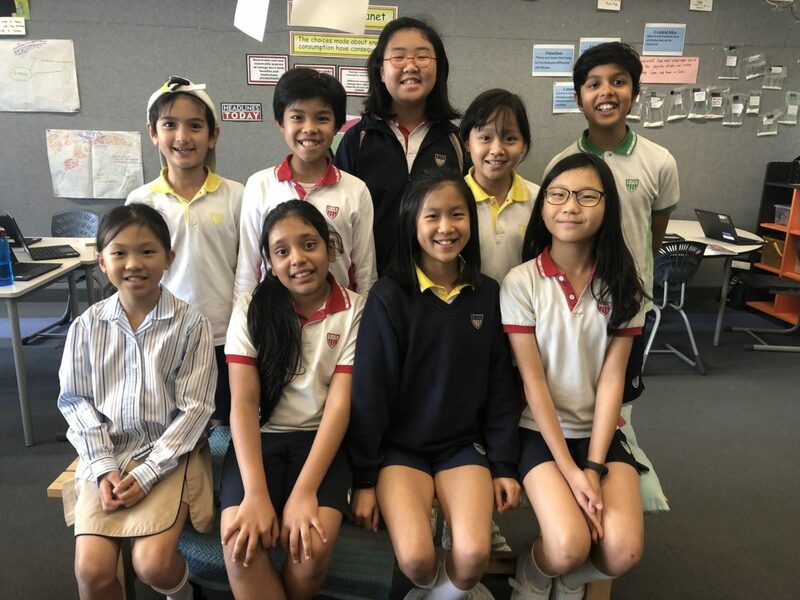 Congratulations to all of the Y6’s who participated in the Tournament of Mind (TOM), Tag Rugby Championship and the race held at different ESF Schools. All students did a great job of being enthusiastic and demonstrating good sportsmanship. Well done KJS! In Inquiry, We have explored parts within a system and how they are connected. 6G and 6P collaborated in groups of 6, mix with boys and girls from each class and pulled apart different items to zoom in on the parts within. In some classes, students have also been learning about the design process and have been creating prototypes and blueprints to solve the problems of the clients. Also, 6A has been using the app easil.ly to create online posters about the internet, how it works, and the different roles on the internet such as the client, server, router, DNS, IP address etc. Students have had a full day rotation where they explored different ways to design or create something using Micro: Bits (coding), 3D-printing, Makey Makey (short circuits), sewing and Make-Do (craft using cardboard). In Writing, some classes have been analysing explanation texts, finding out how they are organised and what language features are in them. Some classes have created a success criteria about what a simple, compound, complex sentence needs to have. Other classes have created presentations about the types of sentences. We have been learning to write a blog on our experience using the Design process. In Maths, students have been investigating about how to calculate the area of a triangle. Students have been writing thorough reflections in order to learn from our mistakes. 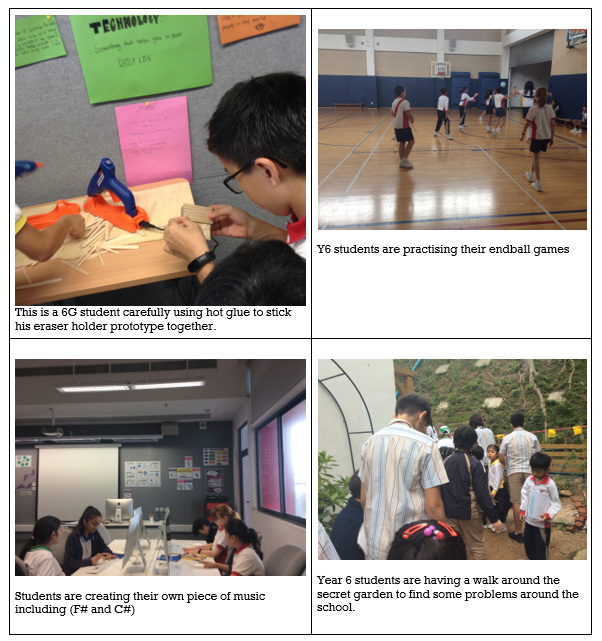 Students are talking a lot about the various maths mindsets such as visualizing. Classes are drawing images to go with their tasks so that they can develop a deeper understanding of the concept. 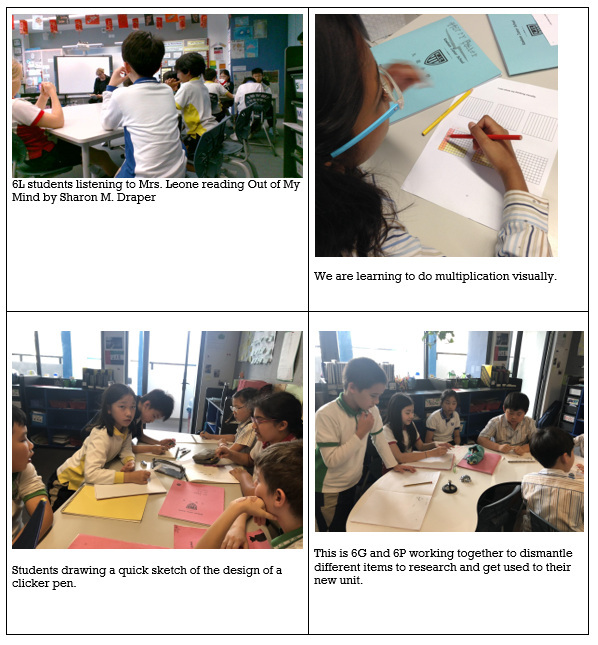 We have also explored different ways to visually represent division and multiplication. 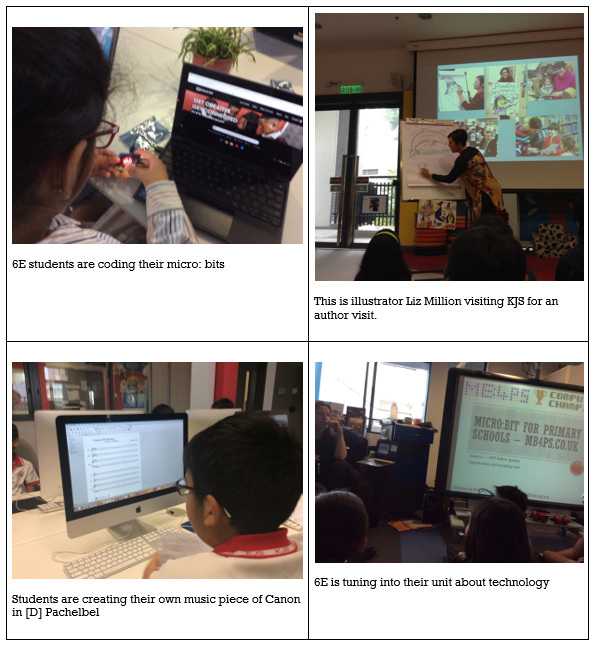 In Mandarin, students have been working towards an essay about KJS and the different facilities. Students have been translating English sentences into Chinese and vice versa. Some classes have also started a personal inquiry about the famous Chinese story “Journey to the West”. Some students have learned about the chinese festival, known as the QingMing Festival. In Music, we have been creating our own Canon pieces, inspired by the famous piece Canon in D, with a partner and we have been publishing it on a program that creates sheet music called musescore. Library news: Students can also start to vote for the Golden Dragon Book Awards in the Younger Readers and Debbie Alvarez Picture Book category. Year 6 also have a chance to be a news reporter for scholastics if they love writing! Here is the link to the PDF application. Tuesday April 9th – All day – no regular school for students. 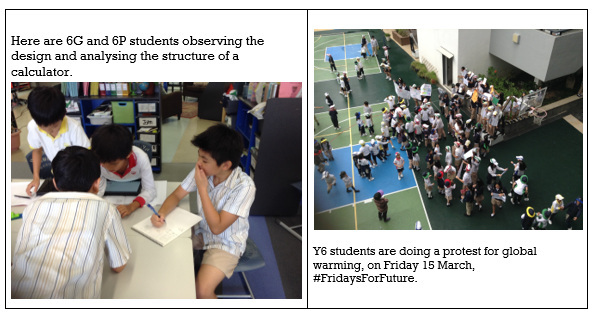 This is a very important day for you and your student to share in their learning journey. Please make sure you have signed up for an appointment time on Gateway. The purpose of the student led conferences is for each student to demonstrate their ownership of their learning, to inform you as parents of your child’s learning journey to date and to discover what they find challenging and what they want to celebrate.